Home / Departments / Close Up / BMX! On any given autumn Saturday, if you drive up Old Horseshoe Bend Road in Eagle, you’ll find a bicycle-lover’s paradise. 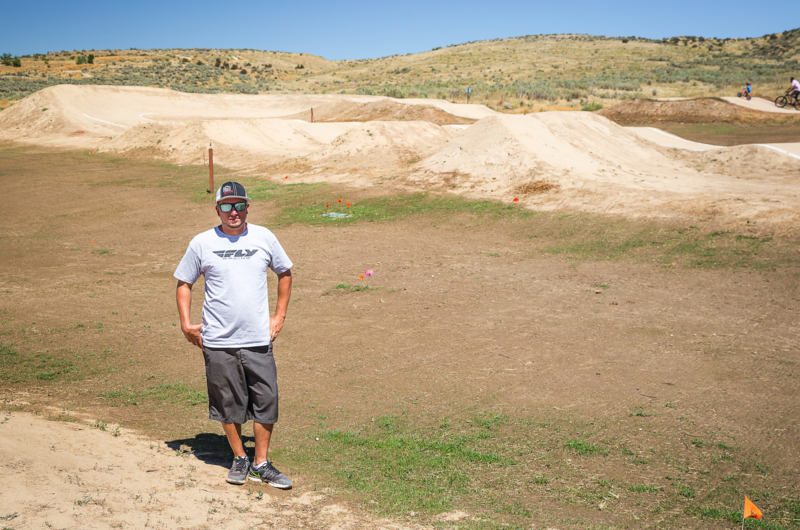 Sitting on the cool grass in the shade of autumn leaves, parents from around the Treasure Valley come to Eagle’s popular bike park to watch their teens mountain bike, as their younger children enjoy the BMX track. BMX, an abbreviation for bicycle motocross, is a competitive racing and freestyle cycling sport. The Eagle Park BMX track has become a focal point for the Treasure Valley BMX community. In September 2017, Eagle hosted the state BMX championship for the second year in a row, with more than 250 competitors and 500 spectators. Blake Richards, who volunteers as the BMX Track director, explained why the BMX and the bike park is so important to our community. EM: How did the idea of a BMX Park in Eagle come about? BR: It was just a natural fit with the other cycling activities there. 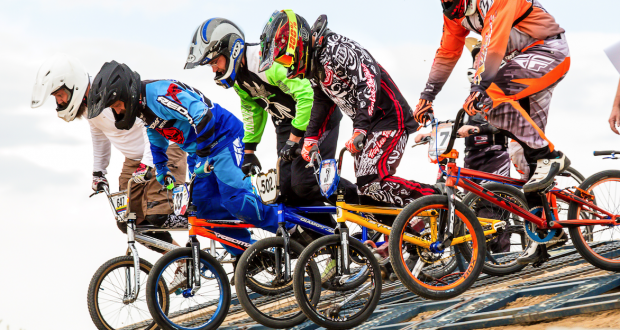 BMX racing has been in the Treasure Valley since it first became popular in the late ’70s and early ’80s. The Eagle track started approximately eight years ago, when the original director worked with the city and then-Mayor Jim Reynolds to get things set up and built the groundwork for the park. I came in four years ago to take over track operations. Since then, we’ve been working and building to make it better. EM: What’s your personal experience with BMX Racing? BR: I’ve lived in Meridian my whole life and was a graduate of Meridian High School. When I was younger, I never really got into organized school sports. I didn’t like the time demand—okay, maybe I was a little bit of a rebel. But I liked to ride my bike. I could ride when I wanted, compete, travel, and it was just a great way to get energy out as a teenager. From the ages of 11-19, I raced competitively at the old Fort Boise track, at the BMX track in Caldwell, and off season at the indoor track in Kuna. I even traveled to compete in Eastern Idaho, Oklahoma, Salt Lake City and California. Now I have 12-year-old who has been racing for six years, and a three-year-old who just started riding her bike at the track. It’s great to see my kids embrace a sport I love. It’s a fast sport. A race goes by so quickly. You get drops and start pedaling, you jump then cross the finish line. It’s like jumping off the high dive at a local pool. It’s a real adrenaline rush. EM: After so many years of planning and development, where is the BMX Track today? 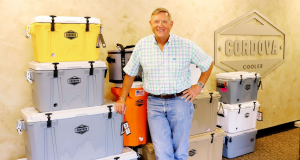 BR: It’s been a busy year! We finally got the bathrooms up and running. Last year, we received $60,000 in landscaping donations. Volunteers helped us to more than double the amount of sod, and we installed 30-40,000 acres of sprinklers and irrigation. We just put the last grass seed in. It’s going to be really nice this fall! EM: Who benefits from this park? BR: The park benefits everyone in Eagle and beyond. It’s perfect for families looking for a fun Saturday morning activity, or for kids who need a place to burn off energy. And of course, our high school cycling teams are out thereon a daily basis. They do workouts and calisthenics on the grass. Sometimes you’ll see four high school teams all at the track at once. It is amazing! EM: How does the BMX track operate? BR: The track is 100 percent run by volunteers. Money for racing fees goes to USA BMX for insurance and race costs. The rest of the money is used at the year-end award ceremony for riders who have moved up in class or won awards, or it goes into the track to make it better for the whole community. Our hope is that the city can help us improve this so that it’s not just dependent on volunteers and donations. On any given day, there are more people there than at any other park in the entire Treasure Valley. We were out there on a weekday and counted 142 people on the track. Almost none were BMX riders—they were kids and families from the community. It’s a real win for Eagle.